Someone dealing with BDD tends to be obsessed with his or her body image and is unable to see themselves as others do. When you think of the disease, you might associate it with anorexia or extreme plastic surgeries. But the latest trend has a lot of dentists worried: excessive tooth whitening. 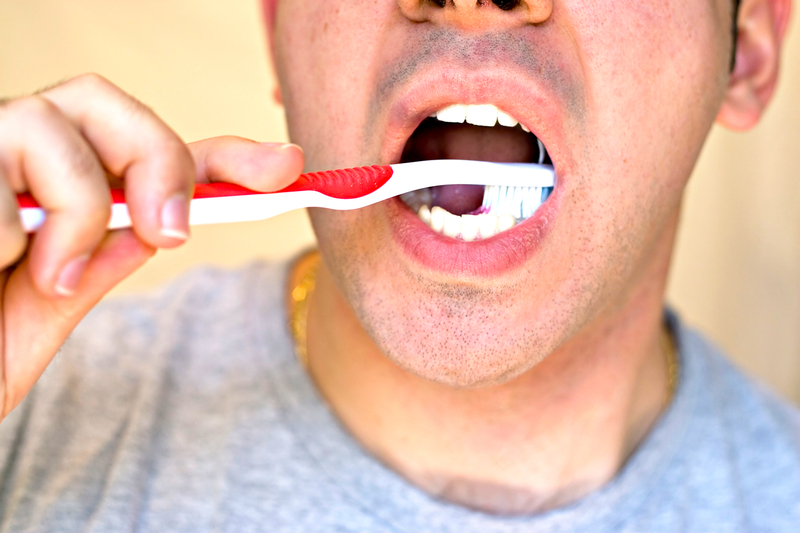 Dubbed ‘Bleachorexia,” this disorder has both men and women becoming obsessed with getting their teeth white. Keep in mind that most of us like to have a bright, white smile. But for those who take it too far, obsessive or repeated bleaching can damage teeth and even lead to long-term dental complications. Most over-the-counter tooth whiteners (as well as DIY mixes) contain peroxide. Used frequently, peroxide causes enamel to become overly porous and even the healthy bacteria in our mouths are destroyed. And here’s the kicker: overuse can cause teeth to appear translucent or even more yellow, as the natural color of the tooth’s dentin is revealed. For those obsessed with getting whiter teeth, they’re likely to use even more of the products, causing greater harm. Much of this damage is irreversible, including decay and crumbling of teeth, hypersensitivity and irritation of the gums, mouth and throat. So if you would like whiter teeth, what do you need to know? There are few people in this world who have perfectly white teeth. The tint of your teeth is hereditary, meaning your teeth may be darker than some and whiter than others. 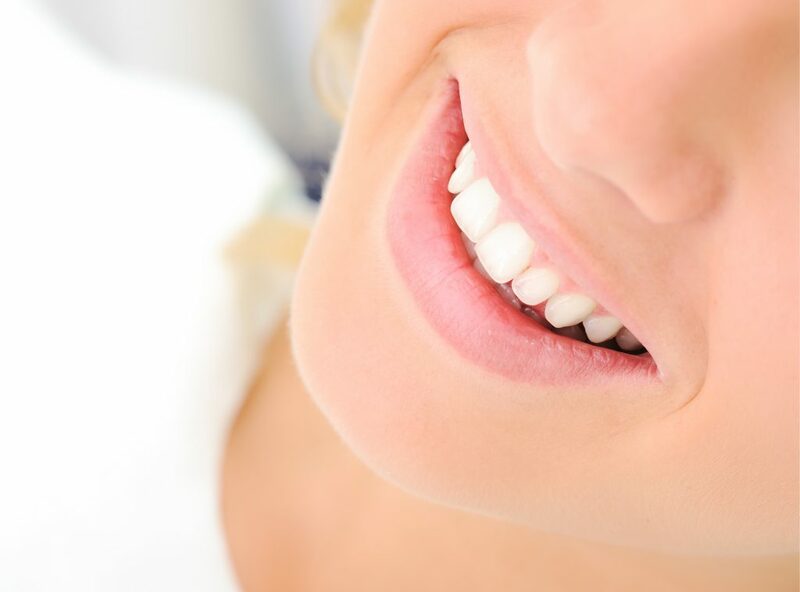 Tooth whitening is really about removing stains or otherwise brightening teeth. It’s not about “bleaching” them to complete whiteness. If your teeth are whiter than the whites of your eyes, they don’t look natural. What you should aim for is a natural, bright and, most importantly, HEALTHY smile. Although the occasional use of an over-the-counter tooth whitening product isn’t likely to do a lot of damage, talk to Dr. Haslam about what the best options are for you. He can help you understand how to achieve a more beautiful smile without damaging your teeth and gums. Remember there are a lot of safe options to avoid staining and achieve a healthy smile. Avoid drinking coffee, tea, red wine and sodas, all of which can stain your teeth. Brush regularly to remove debris, and snack on cucumbers, carrots and other crunchy veggies that can help to clean your teeth as you eat them. Know someone who’s taking tooth whitening to the extreme? In addition to talking with Dr. Haslam about your concerns, it can be wise to consult a mental health professional for more information. Dr. Cody Haslam works with patients of all ages. Schedule an appointment in his Billings, Montana dental office today for you or any member of your family.